The theme this week is domestic utilities. These people call you at your home, whilst you’re at home, making you feel not at home. We hope we can save you a little time if the following come calling. Have you recently become a landlord with Your Move? 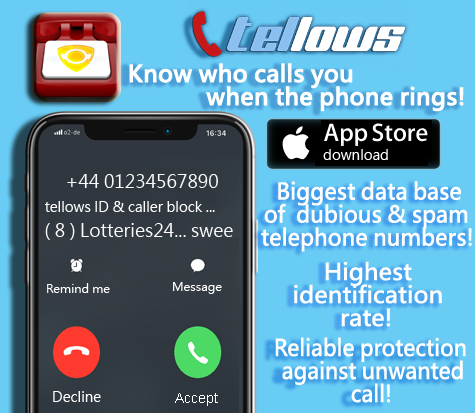 Prepare to be assailed with calls from these insurance telemarketers on 01392849890! 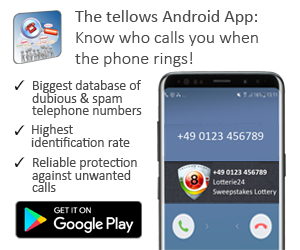 With 4581 search requests, it seems that not all of you are convinced by their credibility either (tellows score: 4), so handle with caution! Sister number 01392849808 is also manned by telemarketers selling gas/water/electricity; estate agents Right Move and Reeds Rains appear to be passing on your details to ‘helpful’ third parties. Estate Agents have given them my number, what a cheek! but try to prove it! First said they were offering a Estate Agent service to connect gas etc. when moving in. then once had me listening started talking tariffs, I swiftly told them I wasn’t interested and they put the phone down, but I know it won’t be the last junk call I’ll be getting. This should be illegal. Next up, we have 02036170540, who’ll tells you it’s a survey then try to sell you energy devices for your home. They’re not likely to know your name exactly and for that matter, don’t seem sure of their own: they operate under variations on the ‘British Energy Council’ and ‘Domestic Energy Valuation’, to the ultimately vague ‘British Advisory Board’. It’s been searched 10170 times on tellows and you’ve left 41 comments! Call at nearly 9pm, “im not selling anything”, then in the next breath, we want to help youoptimise your household energy bills!!! As a sidenote, the ’20 seconds’ of your time they so politely request is a majestic underestimation. Missed call at 8.35pm on Sunday. They called again 5 minutes later and started off with natwest bank survey. When I refused to answer questions they said they also deal with Anglos water and started questioning me about monthly direct debit. Told them I’m not interested in speaking to them and hung up. Have tried calling me back twice now! There are many legitimate companies that outsource independent survey organisations to carry out questionnaires for them, but it is ALWAYS worth checking the legitimacy, not giving out or confirming personal details, and remembering that you are not obliged to answer the survey. These people are requesting time from YOUR day! Hang in there, hang up on them and hang it all and go on holiday if it gets too much. This entry was posted in Weekly Top 3 Nuisance Callers and tagged annoying, British Energy Council, cold calls, Domestic Energy Valuation, home utilities, nuisance calls, Reeds Rains, Right Move, spam numbers, survey, telephone numbers, tellows score, tellows.co.uk, Top 3, weekly on Friday November 29th, 2013 by ellen.